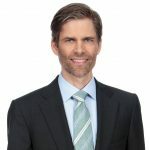 Martin Grosskopf has more than 20 years of experience in financial and environmental analysis. He is a former Responsible Investment Association (RIA) board member, and is a frequent public speaker on ESG issues. In addition to the portfolios that he manages, Martin provides input on sustainability and ESG issues across the AGF investment teams. Martin joined the financial industry after working in a diverse range of industries in the areas of environmental management, assessment and mitigation. Martin was previously Director, Sustainability Research and Portfolio Manager with Acuity Investment Management Inc.